If you have been arrested in the Tampa area for Boating Under the Influence or “BUI” the aggressive attorneys of Finebloom, Haenel & Higgins are available to represent you. BUI charges are different than that of DUI. Most defense attorneys have never handled a BUI case. At Finebloom, Haenel & Higgins we have experience in DUI defense and we can put that experience to work for you! BUI is “Boating Under the Influence.” Just like in DUI charges, if you are found to be operating a water vessel including sailboats, motorboats, and jet skis while under the influence of drugs or alcohol to the point that your normal faculties are impaired you can be charged with BUI. A third offense within a 10 year period is punishable by fines up to $5000 dollars. If your alcohol content is above a .15 the fines are doubled. If you cause a death the fine is $10,000 dollars. A third offense within a 10 year period is a third degree felony punishable by five years in prison!! A third offense outside of ten years is punishable by up to one year in the county jail. A fourth offense is a third degree felony punishable by five years in prison! If you cause bodily injury it is a third degree felony punishable by five years in prison! If you cause a death then it is a second degree felony punishable by up to 15 years in prison!! Can I lose my boat? If you are found guilty of BUI, your boat can be impounded. For a first offense your boat will be impounded for 10 days. For a second or subsequent offense it is 30 days. Can I refuse a breath test for a BUI? If you refuse to take a breath or urine test when you are suspected of BUI, you can receive a fine of $500. If you refuse more than once you can be charged with a misdemeanor. The State can also use the refusal against you in a criminal proceeding to argue consciousness of guilt. Can I lose my driver’s license? You can’t have your driver’s license suspended for a BUI. However, Florida law states that a driver’s license can be suspended for failing to pay any court costs or fines. So if you fail to pay your court ordered fines or court costs incurred as a result of your BUI charge, that failure to pay can result in a suspension of your driving privilege. BUI charges are unique. The rules regarding probable cause are slightly different than that of a normal DUI. There may also be other conditions or circumstances that are a factor. The attorneys of Finebloom, Haenel & Higgins have experience in defending people who are accused of BUI. We have even taken BUI cases to trial. Don’t leave your case to the inexperienced attorney. 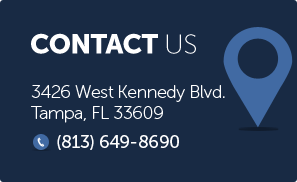 Call us now at 813-200-4122. Our attorneys are available 24/ for consultation. Let us discuss how our firm can work for you!